Oboist Lawrence Cherney launches Chamber Concerts Canada (later to become Soundstreams) with a performance of Stravinsky: A 100th Year Celebration. 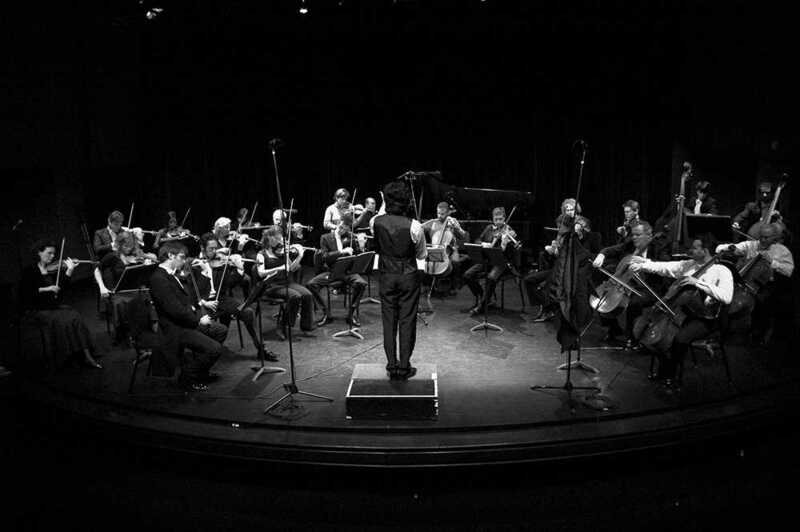 Chamber Concerts Canada and the Lorraine Kimsa Theatre for Young People join forces to create Musical Mondays, a series that paired Canada’s finest composers (Harry Somers, Harry Freedman, Glenn Buhr) and authors (Robertson Davies, Timothy Findlay, W.O. Mitchell) to create works for young audiences. Premiere of the Musical Mondays theatre piece So You Think You’re Mozart, composed by Paul Quarrington, written by Louis Applebaum, and starring Richard Greenblatt and Ted Dykstra. This piece would go on to become the theatrical sensation Two Pianos, Four Hands. In its final year, the Musical Mondays series is renamed Musical Magic Performances and moves to the St. Lawrence Centre. Soundstreams begins the annual Encounters series at CBC’s new Glenn Gould Studio, focusing on pairing Canadian and international artists. Canadian composers included R. Murray Schafer, James Rolfe, José Evangelista, Harry Somers, Alexina Louie, and Christos Hatzis; international composers included James MacMillan, John Tavener, Joan Tower, H.K. Gruber, Anders Hillborg, and Rolf Wallin. First Northern Encounters Festival, a month-long festival that brought together 2000 artists from circumpolar nations Denmark, Greenland, Finland, Iceland, Norway, Sweden, Canada, Russia, and the U.S. (Alaska). Soundstreams’ production of How a Promise Made the Buffalo Jump, a music theatre piece for young audiences created by Michael Greyeyes, is invited to perform at the International Association of Theatre for Children & Young People World Conference in Tromso, Norway. 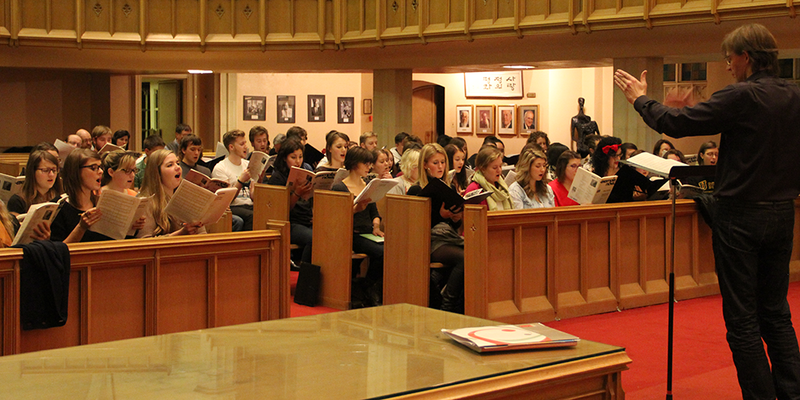 First University Voices concert, one of the largest gatherings of university choirs ever held, featuring 9 Canadian university choirs. Soundstreams receives two consecutive Lieutenant Governor’s Awards for the Arts. Soundstreams receives a Juno nomination for the CD of Harry Somers’s opera Serinette, a co-production with Centrediscs and Window on Somers, and the first full-length Canadian opera ever released on CD. Lawrence Cherney is named to the Order of Canada. Musicools, Soundstreams’ second circumpolar festival, features music theatre and opera for young audiences. It includes works from Canada, Iceland, Finland, Norway, Sweden, and Denmark. 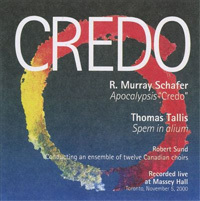 Soundstreams receives a Juno nomination for R. Murray Schafer’s Credo, a co-production with Opening Day Records. Northern Voices Choral Festival, Soundstreams’ third circumpolar festival, featuring artists and musicians from the Nordic and Baltic countries. Toronto Fanfare Project, part of the architectural soundaXis festival, celebrates brass music old and new. It features composers from Canada, Iceland, Sweden, Denmark, Norway and Finland. The last Encounters series concert is held at Glenn Gould Studio. First Cool Drummings International Percussion Festival and Conference, featuring over 100 artists from seven provinces and seven countries. 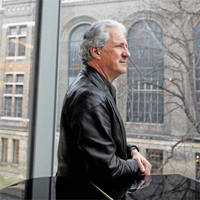 Lawrence Cherney is awarded the 2007 Toronto Arts Foundation’s Muriel Sherrin Award for International Achievement. Soundstreams receives a Juno nomination for Harry Somers’s A Midwinter Night’s Dream, the first Canadian children’s opera recorded for CD, a co-production with Centrediscs and Window on Somers. Premiere of Pimooteewin: The Journey, based on a Cree myth. Written by Thomson Highway with an original score by composer Melissa Hui, it is the first opera ever created in Cree. First Salon 21 event at the Gardiner Museum. Pimooteewin: The Journey tours Northern Ontario, including stops in Timmins, Moosonee, Moose Factory, Cochrane, Iroquois Falls, and Kapuskasing. 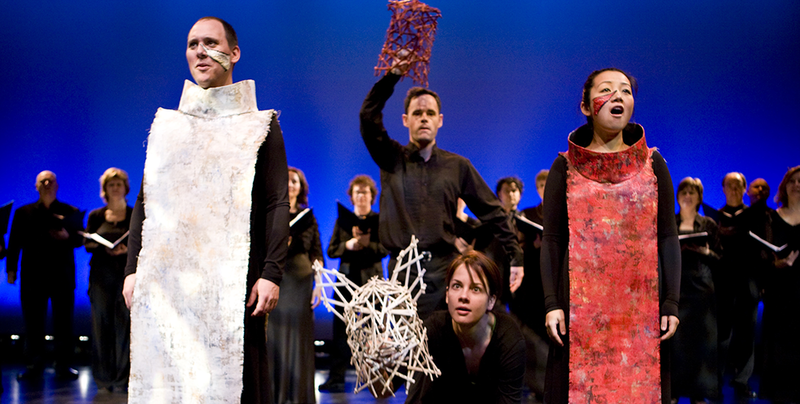 The world premiere of R. Murray Schafer’s site-specific medieval opera The Children’s Crusade, co-commissioned by Soundstreams and Luminato, is the centrepiece of the 2009 Luminato Festival. Pimooteewin: The Journey undertakes its second tour of Northern Ontario, including stops in Red Lake, Sioux Lookout, Thunder Bay, Wawa, and Red Rock. Pulitzer Prize-winning composer Steve Reich performs the world premiere of his Mallet Quartet at the third Cool Drummings Festival. First Soundstreams concert at Koerner Hall. 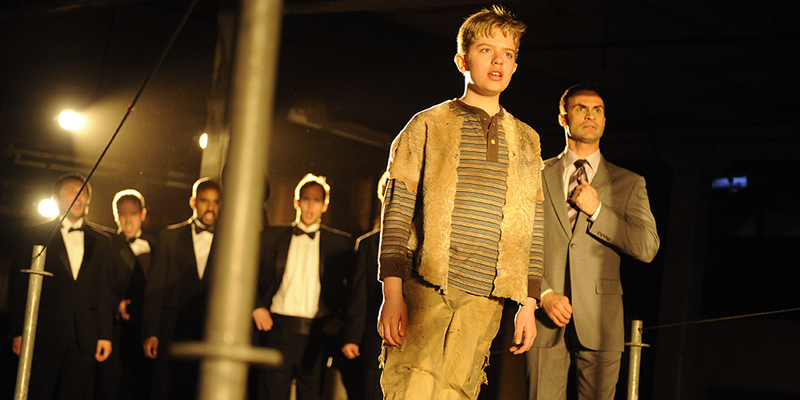 The Children’s Crusade wins the Dora Mavor Moore Award for Outstanding New Opera. Soundstreams’ production of Rodion Shchedrin’s music drama The Sealed Angel is named Best Choral Production In Canada by the Association of Canadian Choral Communities. Lawrence Cherney is awarded the 2012 Friends of Canadian Music Award by the Canadian League of Composers and Canadian Music Centre. Soundstreams launches innovative website and iPad app SoundMakers. The first Emerging Composer Workshop is held under the mentorship of R. Murray Schafer. First Soundstreams tour to Taiwan and China, to perform at the prestigious Beijing Modern Music Festival. Nicole Lizée wins the Canada Council’s 2013 Jules Leger Prize for New Chamber Music for her White Label Experiment, commissioned by Soundstreams. The world premiere of Maniac Star’s opera Airline Icarus, by Brian Current and Anton Piatigorsky. 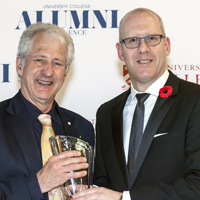 Artistic Director Lawrence Cherney is named one of University College’s Alumni of Influence of 2014. Soundstreams announces major partnerships with Canadian Stage (Julie) and Massey Hall (Steve Reich at 80) as part of its 2015/16 season. The third Emerging Composer Workshop is held under the mentorship of visiting composers Kaija Saariaho and Jean-Baptiste Barrière. A workshop is held for Gállábártnit, the companion piece to Pimooteewin, in collaboration with Signal Theatre and director Michael Greyeyes. 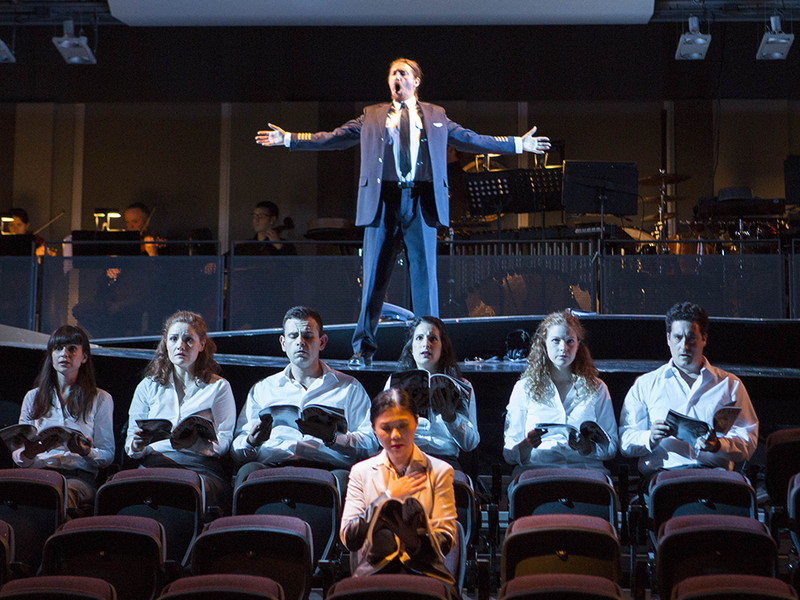 Airline Icarus is nominated for a total of five Dora Mavor Moore Awards: Outstanding New Opera, Outstanding Scenic Design, Outstanding Musical Direction, Outstanding Production, and Outstanding Performance – Ensemble.